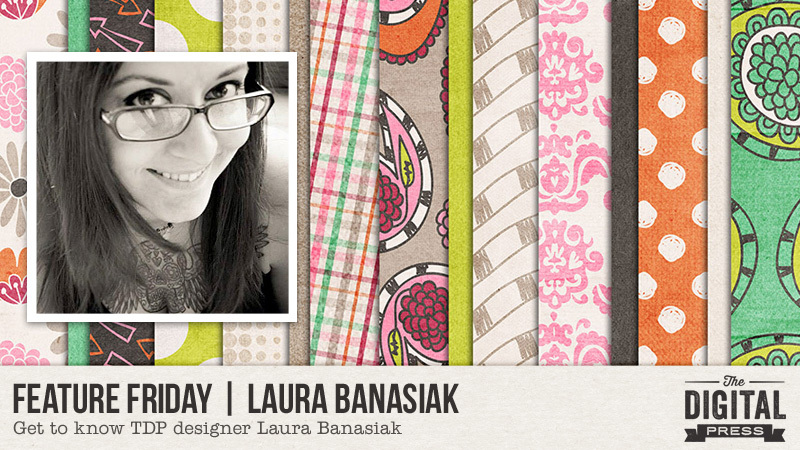 Once again, it’s Feature Friday… and this week, we are featuring the designs of the lovely Laura Banasiak! 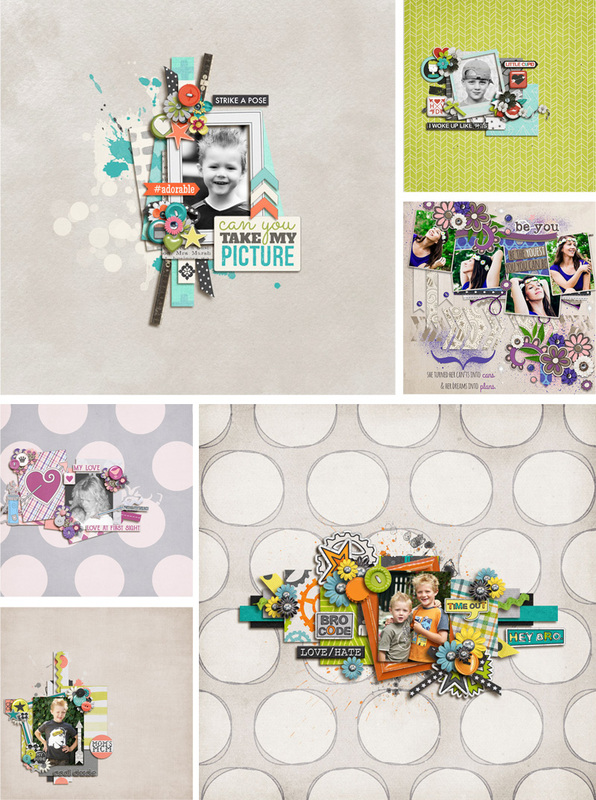 Laura’s kits are full of colorful and funky elements, loads of doodles, and various hand-crafted artsy elements. 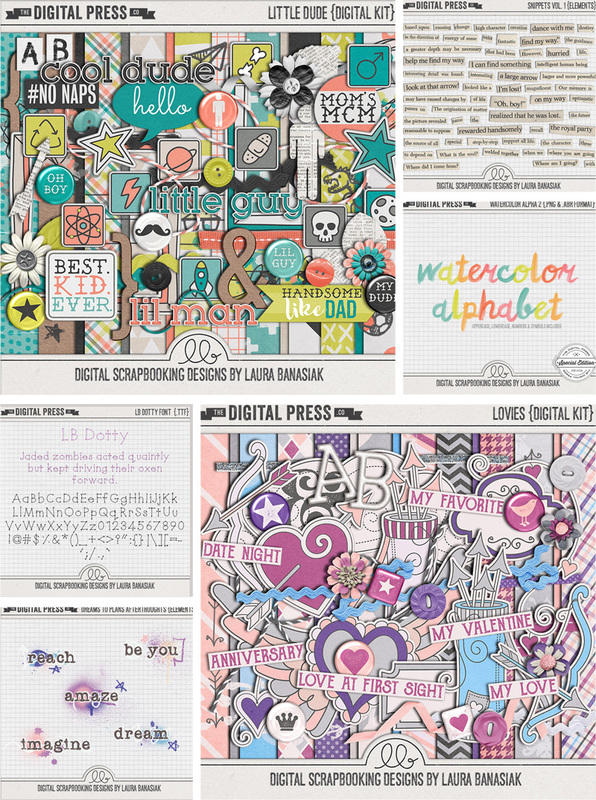 In addition to digital kits, she also creates awesome fonts, alphas and word art setc… all of which have a very special style that is all her own, and you can recognize her products without even seeing her name on the packaging. I love working with her products, because Laura creates all kind of goodies for cool boys and sweet girls, alike! About an hour from Chicago, Illinois. 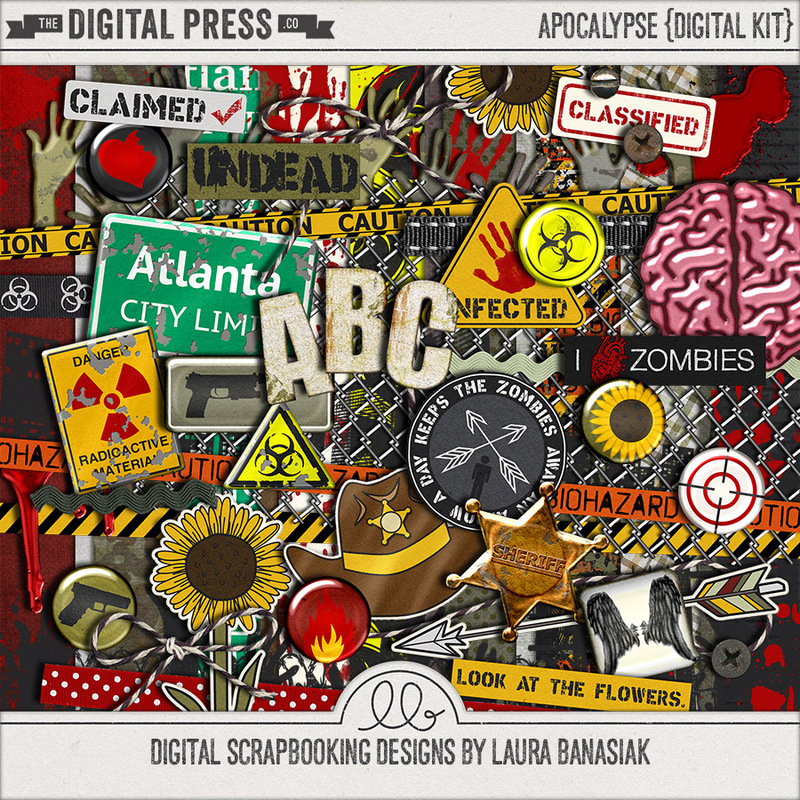 If you haven’t already browsed through Laura’s shop here at The Digital Press… definitely check it out HERE! You will definitely want to take a peek this week, because her entire shop will be 30% OFF through the end of next Thursday (sale will end at 11:59pm ET on Thurs 6/16)! About the Author Miranda is mom of two teenage boys, aged 13 and 15 years old, and is also a fur-mummy for her 3 Bernese Mountain Dogs. She lives in the South of the Netherlands, close to the beach where she loves to walk with her dogs. In real life she is HSE-responsible for few companies in the construction industry. She loves to read Danielle Steel novels, long walks at the beach and she loves Italy; and has been digiscrap-addicted since 2007. Congrats on the new addition to the family! Loved hearing more about you. I’m a big fan of TWD too!